Are you prepared to take your NMLS New York State Specific Exam? Mortgage Educators has developed a NMLS New York State Test Preparation Course to help you study. Be prepared to pass the first time. A New York State specific slide presentation with important points necessary to help prepare you for the state specific exam. 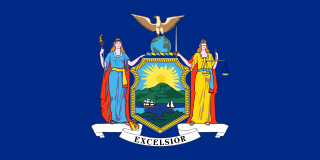 Comprehensive New York State specific lesson plan with statutes, rules, laws etc, necessary to pass the exam. Embedded within the lesson plan are “Quick Insight” callouts to help clarify and summarize hard to understand legal descriptions. Questions are also inserted throughout the lesson plan to reinforce and confirm comprehension. A New York State specific exam with 50 or more questions to simulate and prepare you for the NMLS New York State specific exam. The cost to take the NMLS New York State Exam is $69. Follow the link to find out more about the NMLS Testing. You will be permitted to access this online course and sample test for 45 days. We recommend that you watch the slide presentation, read and answer questions within the lesson plan and answer the practice questions as many times as you need to prepare for the exam. In addition to passing the state exam, most states also require existing and new Mortgage Loan Officers (MLOs) to pass a NMLS national exam. Mortgage Educators also offers a NMLS National Test Preparation course as well. If you want to know more about the New York State Test follow this link to see the outline.